Daniel Swain, better known by his mononymous stage name Danny!, is an American rap performer and record producer from Columbia, South Carolina. Danny! is a former student of the Savannah College of Art & Design. He often wears an oxford shirt and pinstriped necktie, and has gained notoriety for prank-calling celebrities. In 2012 Danny! rose to prominence shortly following the proclamation by The Roots drummer Questlove that there was strong interest from Jay-Z; he was subsequently signed as the flagship artist to Questlove’s re-launched Okayplayer Records after years of being loosely affiliated with the company. In support of the new venture Danny! 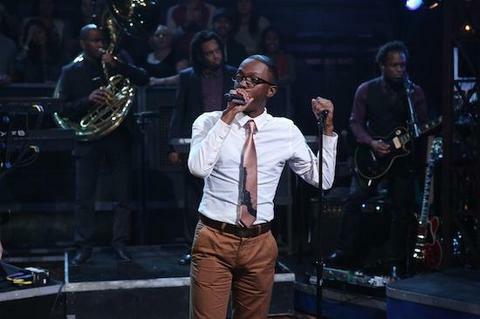 made his television debut on “Late Night With Jimmy Fallon” in September 2012, premiering his song “Evil” alongside The Roots. Prior to this Danny! was most notable for his efficacious DIY approach to his music career, producing virtually every aspect of his albums—from the production to the cover art and even promotion—by himself to varying degrees of acclaim. He would field praise for his self-released concept records “Charm” and “And I Love H.E.R.”, the latter named by ABC News as one of the best 50 albums of 2008, before releasing the “anti-album” “Where Is Danny?” in early 2011. After signing to Okayplayer Records the following year, Danny! completed his trilogy of conceptual albums with “Payback”.